The Microsoft Open Source Challenge asked students from across the world to prove their skills and solve real-world problems with Microsoft’s open source tools. Four entries were chosen to receive prizes. Our recent Challenge offered $15,000 in prizes as students experienced the power of open source tools from a top research lab. We are delighted to announce the winners of the Challenge. Interest over the past three months came from all round the world. The judging panel was impressed by all the entries. The following four were chosen to receive prizes. Congratulations to the winners! The Challenge is now closed, but you can still experience and use the great tools from Microsoft Research. We are adding new tools every month, so be sure to visit the Project directory regularly. Try the latest software from one of the best research laboratories in the world. 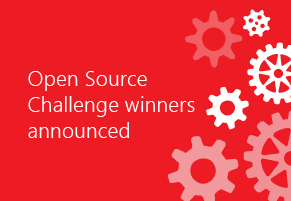 Microsoft invited you to participate in the Open Source Challenge for a chance to win up to $5,000 or an interview with Microsoft Research. Students from across the world competed to prove their skills and solve real-world problems with Microsoft’s open source tools. They showed they were up for the challenge! Microsoft Research has over fifty projects that span the range of computer science from artificial intelligence to visualization, from cryptography to programming models. They are all showcased on our Project directory list. REGISTER now for challenge details and updates. The challenge is simple. Choose any of these open source tools, solve a problem, and report on your findings. 1. Choose a project or problem you want to address. 2. Acquire the tool you need. Tools can be accessed from GitHub or from the project pages on our site. Some tools are on other repositories such as CodePlex. Some tools can also be run in your browser. All uses are acceptable. 3. Present your findings. Include a project description, goals, methods, challenges, and any result obtained. Make sure to also submit sample input, output or screenshots to show you used the tool in the project. For full details, see the Official Rules. Some participants may also be invited to visit a Microsoft Research Laboratory, or have an opportunity to interview for internships at Microsoft. In each 12-week internship, you’ll work directly with a prestigious research team on cutting-edge research. REGISTER for the challenge as soon as you can. The Challenge lasts for ten weeks. The deadline for entries is April 11, 2016. Make your submission via EasyChair. You can edit your entry up until the closing time. Only one entry per person is permissible. Ensure that your entry is six pages or less, in PDF format. Is the challenge open to undergraduates and PhD students? Can my entries be based on different tools? Can I use more than one tool in an entry? How long should the Challenge take me? It depends on how well you know the area the tool is in. We realize that you will be doing the Challenge outside your normal study work. A good rule of thumb would be two hours a day for a week, which would include writing the report. Some projects might that take a lot of programming might take longer than this. No. The Challenge is set up for individuals this time, in order to keep the projects manageable and to ensure fair judging. You can of course consult with your friends and colleagues and get whatever help you need, but submission is by one person and a prize goes to one person. Do I have to create new software? Yes. The challenge is to use one of the tools. The tools require writing code related to that tool, for example an app for TouchDevelop, or some software that uses the Microsoft Cognitive Services. Can I just submit a research paper? No. Your write-up should be backed up by evidence of using a tool. Do I have to contribute code to open source software? No. The challenge is to use the open source software.